Ever dreamed of rolling around in a pile of hundreds? 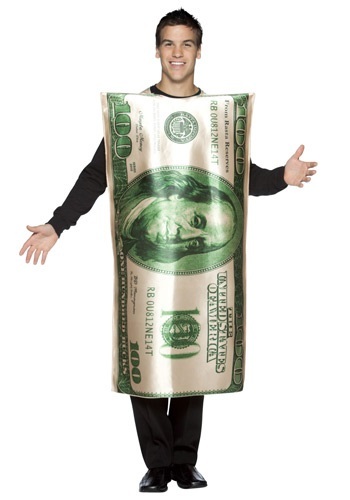 This 100 Dollar Bill Costume, isn't quite that, but it's pretty darn close. 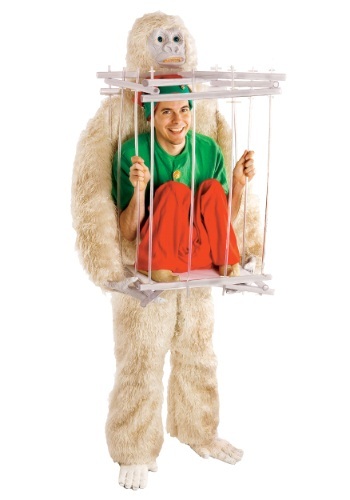 You'll feel like the richest man alive in this funny costume. This detective likes to get down to business right away! This 70s Detective Costume Kit has everything you need to become a professional mystery solver. Let no case go cold when you're on the job! We all remember the rip roaching shock jock! Here's your chance to become him with this 80s DJ wig. Now go and beef up your audience. Looks like you just won the sweepstakes just like the Old Man did in the classic holiday movie A Christmas Story. Mr. Parker had entered some sort of contest where the prize was left as a surprise and then one day a box ended up at his door. This crate had a word that Mr. Parker had never seen before, "FRAGILE". He kept trying to pronounce it coming up with "Fraa-jeel-aay" which he thinks is Italian. What was inside? A lamp in the shape of a women's leg with a fishnet stocking on which he instantly falls in love with. The person that didn't like it? Mrs. Parker and later on she may have caused something to happen to that lamp. But now you can make people giggle when they recall these great scenes from everyone's favorite holiday movie! You've probably heard the rumors that yeti and Sasquatch walk among us. You probably even shrugged them off as nonsense grocery aisle tabloid fodder. Well, we're here to tell you that you were wrong. The abominable snowman walks among us! He's out there right now, kidnapping elves on the north pole and holding them hostage in little cages for his own unknown purposes. So, beware this Halloween, because one minute you're a free and happy elf, and the next minute BOOM you're off to a cave somewhere with a silent and scary yeti. Or so you can tell everyone that's what happened when you go in this hilarious and ingenious Snowman costume. This big baby needs his bobba! 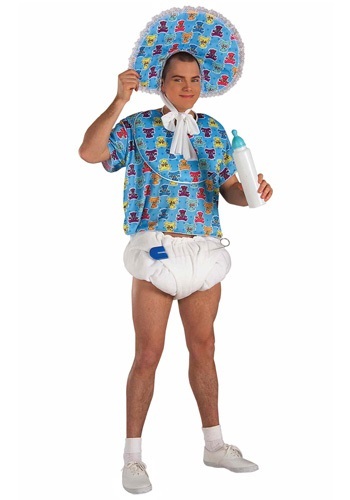 This Adult Baby Boomer Costume is a funny costume idea for men who just never seem to grow up. Maybe you'll be adopted by a hot mom, hey you never know! Pick up a jumbo bottle and fill it with an adult beverage so you can really get the party started! This Wacky Wiggler Costume is a great way to attract attention to your new business or garage sale. Or just be a costume-party conversation starter. No matter where or how you wear this costume, you'll be sure to make a splash. Let's talk cannabis. You can use the plant to make tons of great stuff, like rope and paper. 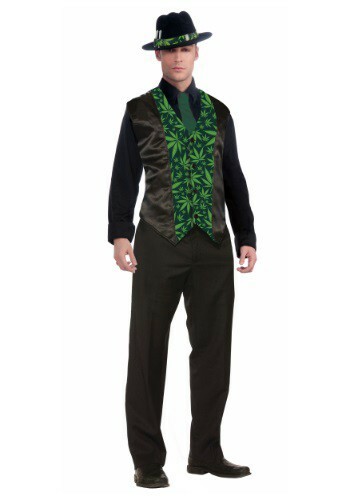 Why else would you want this Adult Cannabis Vest? Recreational purposes? Preposterous! We've never heard of such a thing! The best reason to wear this vest is because of your intense love of ropes and other such sundries! If you were born before 1990, then you know what a cassette tape is. If not, then prepare yourself to be amazed as we explain what this is. It was made of plastic and had a thin strip of film that stored music for playback before we had CDs and way before we had digital music files. 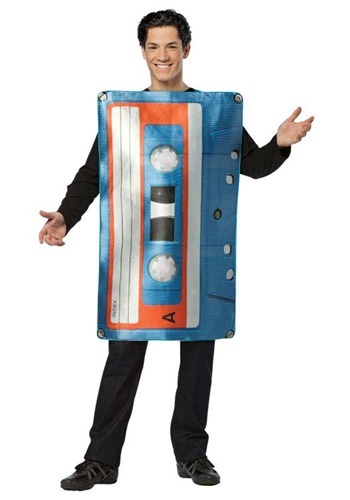 When you wear this Adult Cassette Tape Costume you'll know when you meet a child of the 80s, because they will know who you are! You know what survives after an atomic bomb goes off? Twinkies and Cockroaches! 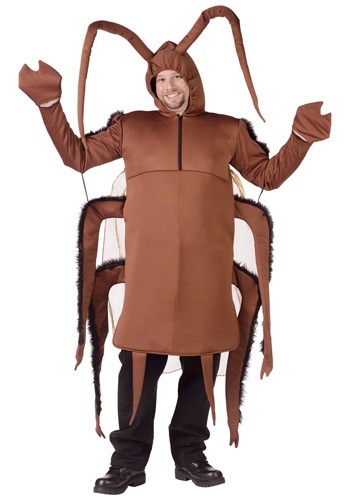 Become the ultimate creepy pest when you wear this Adult Cockroach Costume. This costume will turn you into an eight legged freak. Now you can bug all your friends while you wear this insect costume. 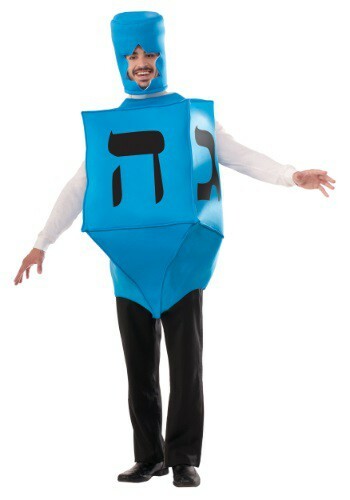 This is actually the second version of this costume, because we first tried to make a Dreidel costume out of clay, but it ended up being around 500 pounds and not very much fun. This version is much better because it's made of lightweight materials, and you can still party Hanukkah style without worrying about being a body builder. But we'll warn you, people love to try and spin ya in this thing. And they love to sing the first line of the song, so it's going to be stuck in your head all night. Other than that... it's a fantastic look all year long! Do you keep going and going? Got enough stamina and energy to light up a flashlight? Then how about wearing a costume that reflects your power level with this Adult Energizer Battery Costume. It licensed from the battery brand that everyone grabs when they need a good charge. Are you usually the friend that leads the way? 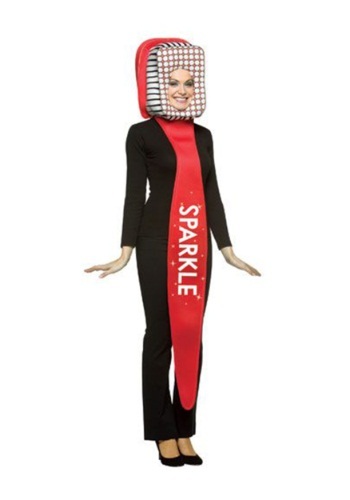 Well, you'll be in front of the whole crew when you're dressed in this Adult Energizer Flashlight Costume. Plus your pals will love having you around cause flashlights come in handy. They help find the way to the bathroom when the power goes out. They also help locate keys inside of a dark purse. You'll have fun being 'flashy,' yet sensible in this reliable household appliance themed costume. Do you know the quickest way to tell the difference between an ape and a monkey? 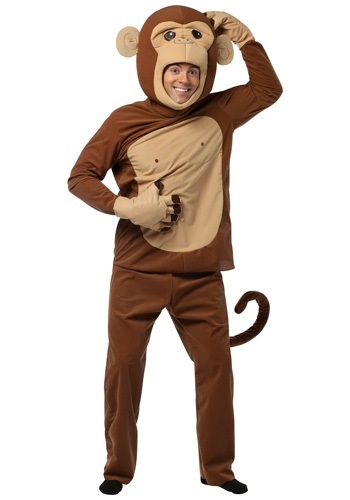 Well other then the fact that monkeys are always having fun it is actually that monkeys have tails and apes do not. Which is good to know next time you're out in the jungle needing to know which is which. But did you also know that monkeys eat their bananas just like we do? They peel away the skin of them and eat the delcious inside just like people do. Which then begs the question, which came first? Did monkeys see us do it first or did we see monkeys do it first? Looks like it could be a cause of monkey see, monkey do. 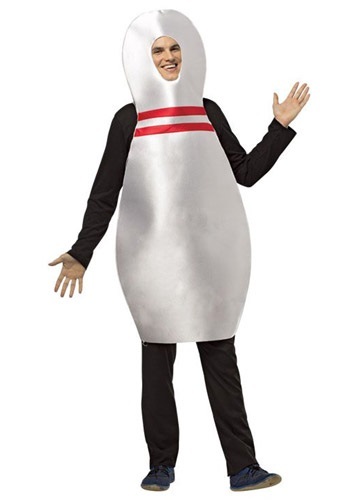 Get ready to 'bowl over' everyone you meet when you wear this Adult Get Real Bowling Pin Costume. Team up with a bowling ball for a cute couples' costume! 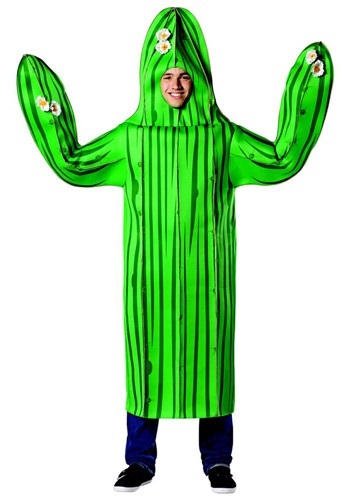 This costume is sure to bowl you strikes all night long! 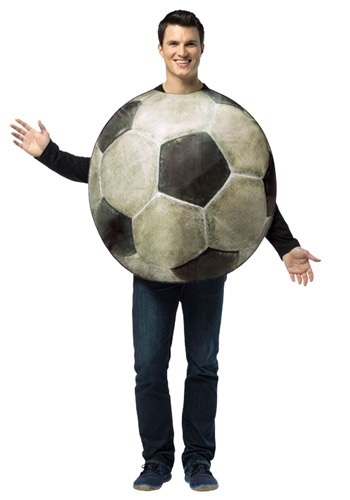 Don't be surprised if people think you're wearing a sign that says "kick me" when you wear this Adult Get Real Soccer Costume to your Halloween or sports theme party! Wear it with your own jeans or dark pants. When in gnome, you gotta do as the gnomans do! That means you have to wear a pointy hat, grow a mighty beard, and strap a gold buckle belt around your waist. This Adult Gnome Hoodie is everything you need to turn into a cute lawn ornament. You'll be king of the 'Gnoman Empire' before you know it! There is a magical green guy made of clay who can jump into adventure by leaping into the pages of his favorite book. 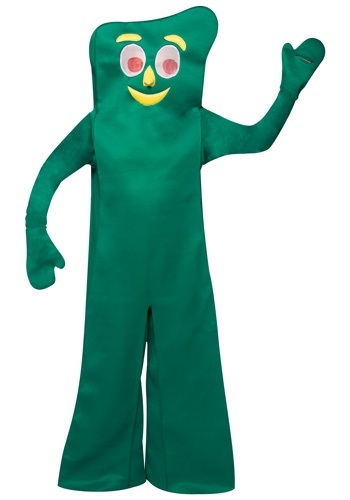 That guy is named Gumby and he has been around since the '50s. But this clay adventurer doesn't go on his journeys alone because he always has his faithful friend Pokey with him. Now you can bring a classic character to life in this costume. Do you want to be 'the light of the party'? Well, here's one quick and easy way to do so! This Adult Lightsuit Costume allows you to design your own glow in the dark creation and then bring it to life. 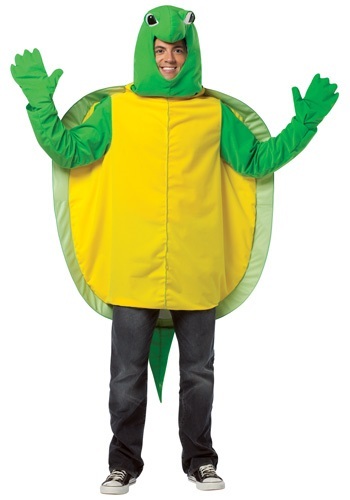 This cool costume is perfect for parties, sporting events, concerts, and raves. Stand guard over the tomatoes and tulips in this Adult Papa Gnome Costume! This brightly colored outfit is designed to replicate the look of a classic lawn gnome, and includes tunic, pants, boot tops, hat and beard. 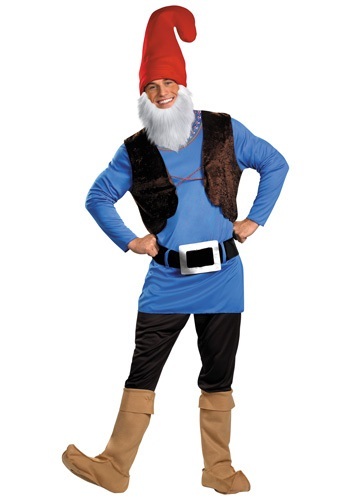 We have gnome costumes to fit the whole family! Heh, heh, heh, it's time for Pee-Wee's playhouse! 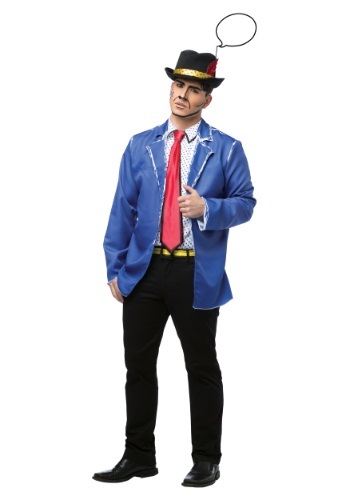 Now you can become the wacky child-like good from the 80's with this Adult Pee-Wee Costume. Go on a big adventure and try to find your long lost bike, even if you have to travel across America to find it! It seems that all of the old vintage comics were printed with lots of dots. Did you ever wonder why that was? It was because of the way printing was done in those days. Before computerized graphics, they just couldn't make smooth images. Get that retro, pixellated look with this Adult Pop Art Cutie Costume. If you want to look like a pop art masterpiece, then check out this Adult Pop Art Guy Costume. Its bright primary colors evoke the Golden Age of comics. Inject a dose of melodrama into your next costume event! Who is ready to take a dive with this guy? Scuba guy knows how to have a good time whether he's snorkeling down by the reefs or poking at exotic fish. He may be a little goofy but you'd have tons of fun splashing around in the ocean with him. Tiki culture, otherwise known as vintage awesome adventuring, has been around for a while. You've probably seen tiki bars, hawaiian shirts, and have enjoyed a Mai Tai or two in your life. If so, you've enjoyed a little tiki goodness. 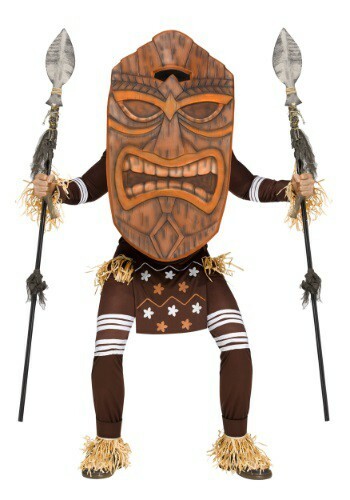 So, if Exotica music and tribal tales are your kind of thing, we think you're going to love our Tiki Warrior Costume. He looks straight out of the kitsch culture, and may just freak out an adventurer or two. 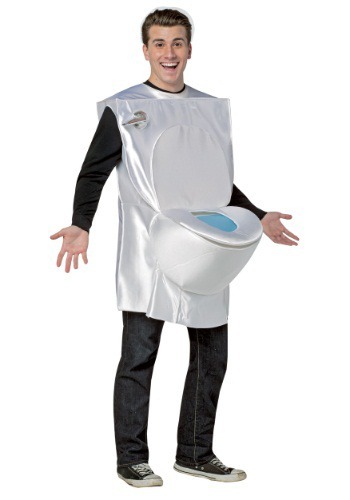 Don't flush your life away, wear this Adult Toilet Costume! It's the sure fire way to make sure that you don't get stuck with another crappy costume. When you're out and about as a venerable porcelain throne, you're sure to get a lot of laughs... just don't be surprised if you get mooned, too! You can't take good enough care of your teeth, but you already knew that! It's time to spread the message near and far, and especially with all of the candy that's floating around this time of the year... With this costume you can splurge a little bit on your sugar intake as long as you get a great brush in before bed. And then you can wake up and start November 1st with a great brush too! Did a siren serenade your entry into the world, or perhaps your graduation? 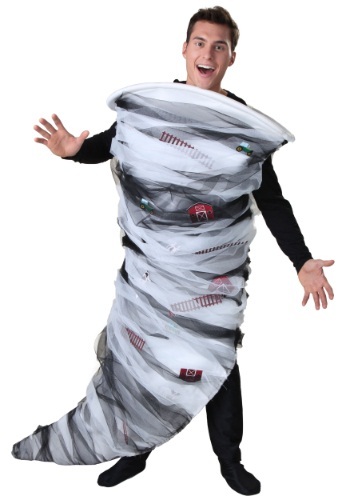 Then this Adult Tornado Costume is just for you. Get ready to take the world by storm. Leaving a trail of destruction behind you is optional. Travel the beaches of Hawaii or trek through the desserts of Egypt as a tourist. 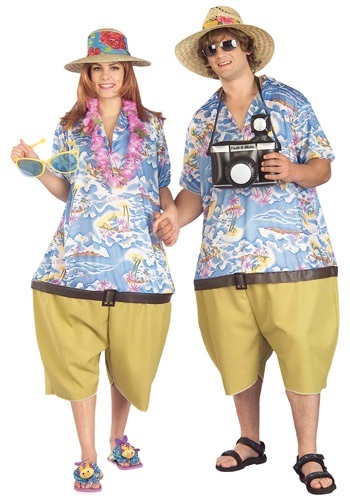 This Adult Tropical Tourist Costume is a funny costume that will advertise that you arn't from around here. You'll be the ultimate tourist in this funny inflatable costume! These reptiles are fun creatures who carry their home and protection with them at all times. These shelled critters have the ability to hide their heads when attacked by any mean predator that attacks. But this speical feature doesn't come without it's draw backs because to carry around this defense system can make them slow. So slow in fact rabbits think they can always out run these guys. But one thing turtles can say that rabbits can't is that they've been in space. Which happened back in 1968 when two turtles were launched into orbit and came back after a week just fine. We've all seen those big air-blown figures swaying and waving their arms. Car dealers use them. New businesses use them. Anyone who wants to attract attention uses them. Now you can be on of them with this Adult Yellow Wacky Wiggler Costume! Back by popular demand, for a second term, President Barack Obama!!! There's no time like the present to express your love for the America's hottest president. 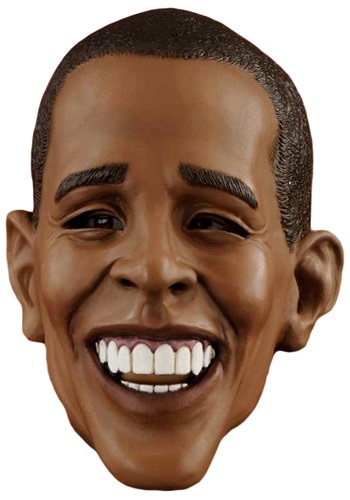 Wear the this Deluxe Barack Obama Mask to your next party or political themed event. There are only a few ways to give yourself an advantage in the prestigious game of beer pong. One way is to practice day and night on your aim. Another way is to wear a set of these glasses. They don't actually improve your game, but they make you feel like the beer pong champ and intimidate your opponents, or they make them laugh uncontrollably. Either way, they provide you with a clear mental advantage over all challengers. 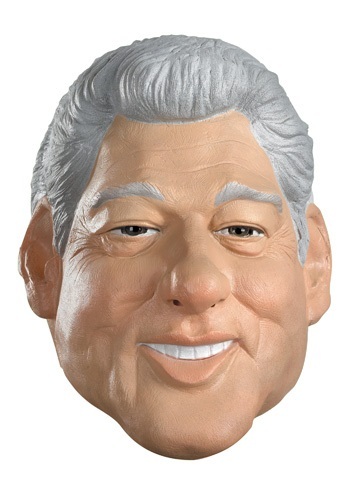 Doin' it Slick Willy style means having a silver tongue and a memory that conveniently forgets what the word "is" means. It also means busting out wicked saxophone solos whenever you feel like it. You practiced the Running Man dance for months to get it down just right. But, until now you've never had the opportunity to bust it out. We can give you that chance. All you need is a set of hammer pants and people will want to see you work it like a 90's rapper all night long. Love comedies? Love stoner comedies? Love smoking weed? You don't have to answer that one... 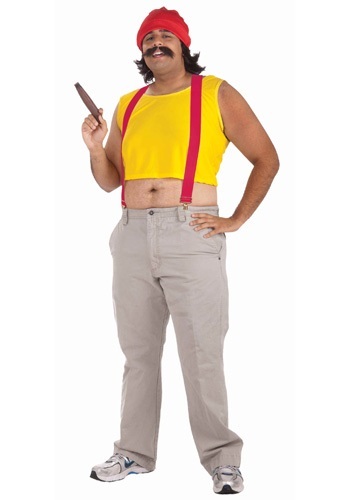 But this Cheech Costume is perfect for fans of the Up in Smoke movie. 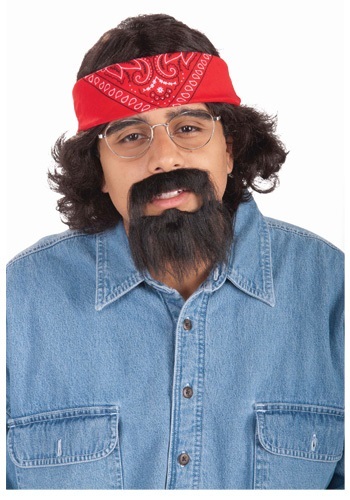 You can say "pass me the joint, man" while your dressed up as the iconic pothead- Cheech! Have your best stoner buddy dress up as Chong and you guys will become the ultimate weed smoking duo! Now you can reenact your favorite scene from the classic stoner movie, Up in Smoke, while you look exactly like your favorite pot smoking comedian- Chong! Wear this funny costume kit for Halloween or everytime you decide to light up! 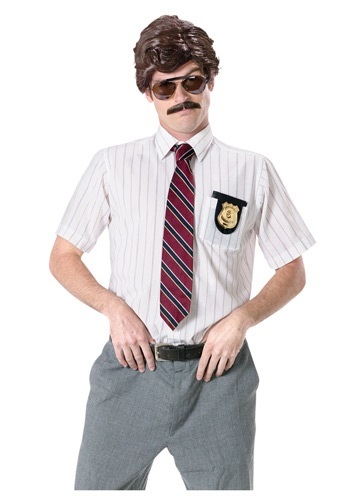 WARNING: You may get called a dummy when you are wearing this costume! 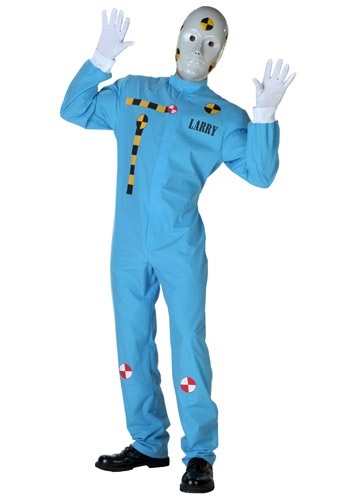 Now you can become a popular 90's fad when you wear this Crash Test Dummy Costume. This is a complete costume that comes with that even comes with the mask and gloves. Competency is not a requirement for working at Reno's Sheriff's Department. Just take a look at Jim Dangle. He doesn't have a clue about what's going on and they made him a lieutenant. 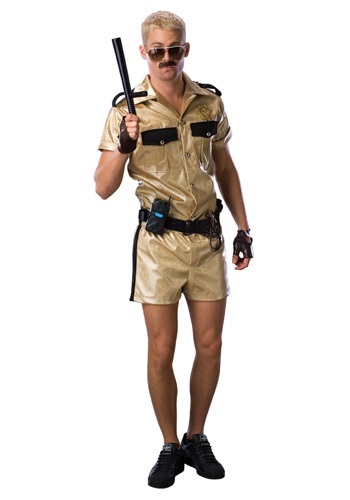 Maybe it's those short shorts he's always wearing that keeps him on the force. 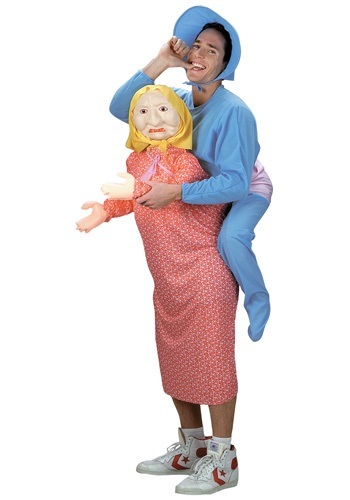 Get this Don't Want to Grow Up Costume, and you will have everyone giving you double takes--it's designed to look like an older woman giving a piggyback ride to an overgrown infant! 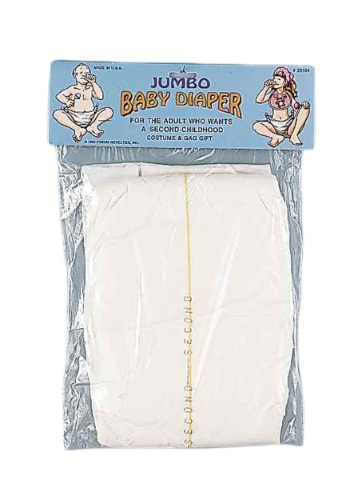 The costume is a combined dress/pajama jumpsuit; inflatable components for the woman's head, arms & torso and the infant's buttocks & legs are inserted into shaped compartments to give a hilarious effect. Freak out all of your friends when you suddenly lose your head! This Falling Head Illusion Costume will make it appear as though your head has fallen off of your shoulders. How will people react? Will they offer to bring you to the hospital to have it reattached? Can that be done? The only thing better than seeing their reaction to your head falling, will be when you carry on your conversation with them as if it's no big deal. If you're just not into looking like one of the locals, we have the perfect shirt for you! You will have a blast roaming around your tropical destination wearing this Faux Real Hawaiian Visitor Shirt. It's bright, colorful, and has a printed fanny pack on front because we all know that fanny packs are awesome. Just throw on your trusty khaki shorts and you'll be ready to do some sightseeing. Goaaaal! Mexico scored a goal! You better celebrate and wear this Flag Tunic Mexico. If you proudly sing "Rule, Britannia!" at sporting events, you'll want to get this Flag Tunic to show your loyalty. It's printed on the front with the traditional Union Jack. Plus, it's easy to wear over ordinary clothes.